Full-color CMYK print in solvent or UV technology. High resistance to weather conditions. Edge reinforced with a 35 mm weld. Steel eyelets 12 mm diameter arround mesh. 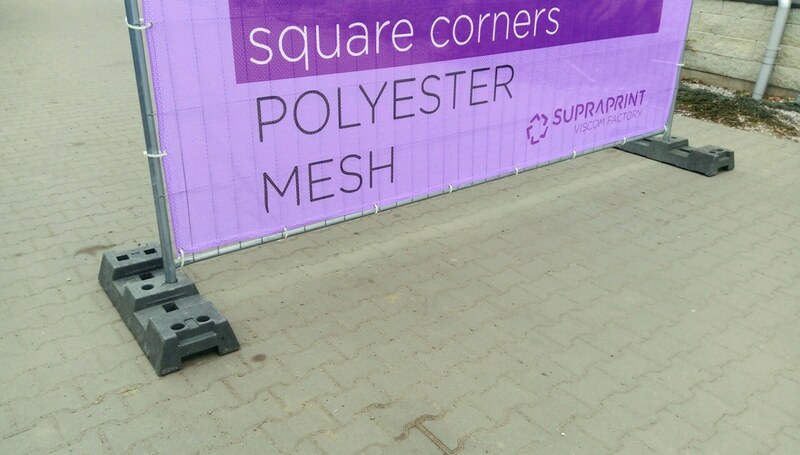 The banner is made of PVC Mesh 300g. 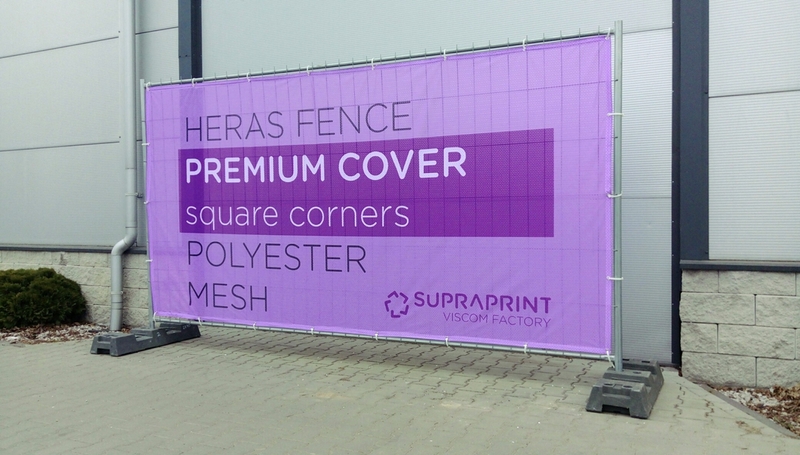 The material has a flame-retardant certificate and is airy thanks to the perforated structure. Possible any size suited to your fence. Do not have a project and file for printing? Contact us! Full-color CMYK print in solvent or UV technology. High resistance to weather conditions. Edge reinforced with a 35 mm weld. The upper two corners are curled to match this type of fence. Steel eyelets 12 mm diameter arround mesh. 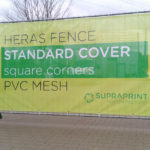 The banner is made of PVC Mesh 300g. 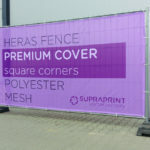 The material has a flame-retardant certificate and is airy thanks to the perforated structure. 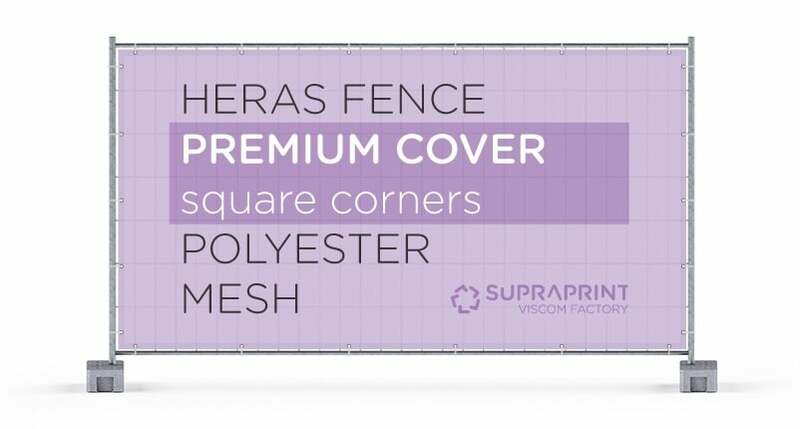 Possible any size suited to your fence. Do not have a project and file for printing? Contact us! Full-color CMYK print in direct sublimation technology. The printout is visible on both sides. The reverse is readable in mirror. High resistance to weather conditions. Edge reinforced with a 30 mm weld. Steel eyelets 10 mm diameter arround mesh. 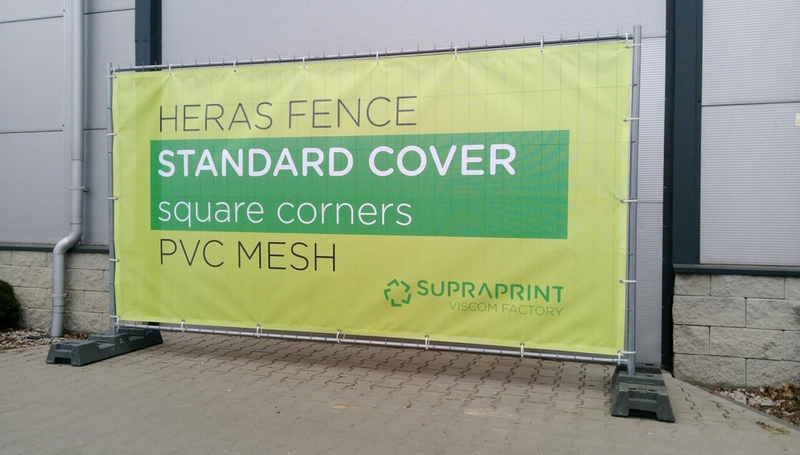 The banner is made of POLYESTER Mesh 115g. 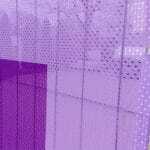 The material has a flame-retardant certificate and is airy thanks to the perforated structure. Possible any size suited to your fence. Do not have a project and file for printing? Contact us! Full-color CMYK print in direct sublimation technology. The printout is visible on both sides. The reverse is readable in mirror. High resistance to weather conditions. Edge reinforced with a 30 mm weld. The upper two corners are curled to match this type of fence. Steel eyelets 10 mm diameter arround mesh. 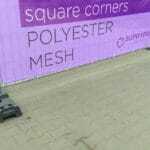 The banner is made of POLYESTER Mesh 115g. 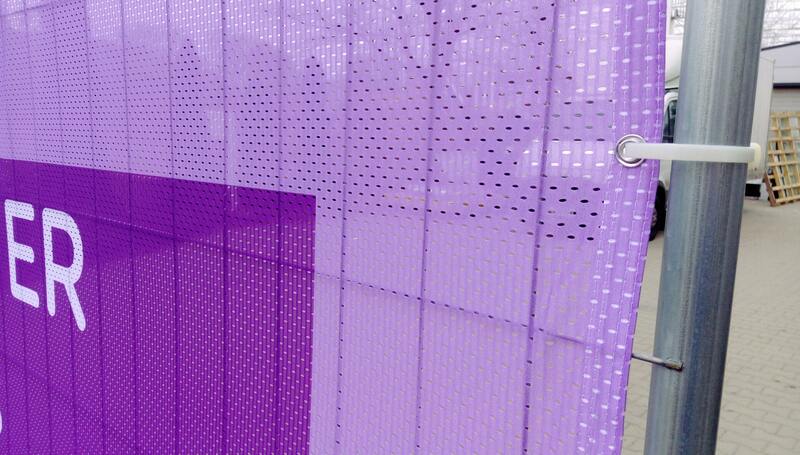 The material has a flame-retardant certificate and is airy thanks to the perforated structure. 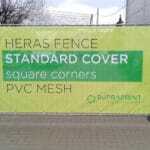 Possible any size suited to your fence. Do not have a project and file for printing? Contact us! 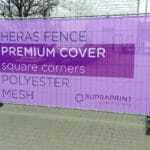 We are producer of mesh covers for temporary fences. 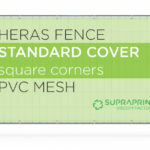 Our heras fence covers are a unique form of advertising and strengthening the visual communication of your company. 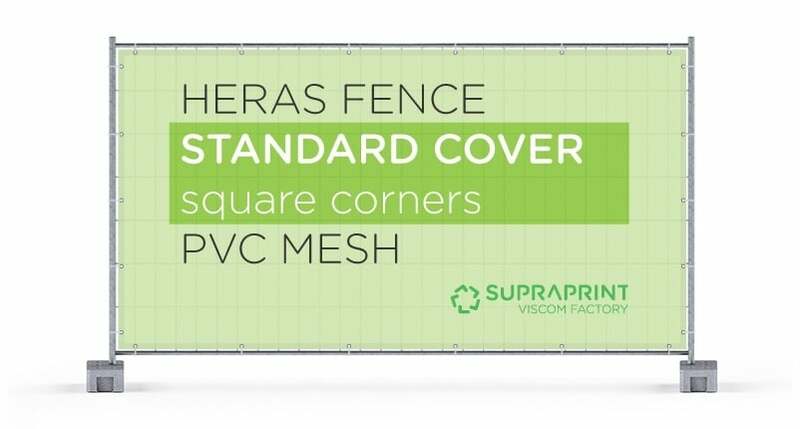 Thanks to the perforated mesh structure, they allow the air to flow without disturbing the integrity of the fence, and at the same time effectively block off the construction site in front of the public zone. 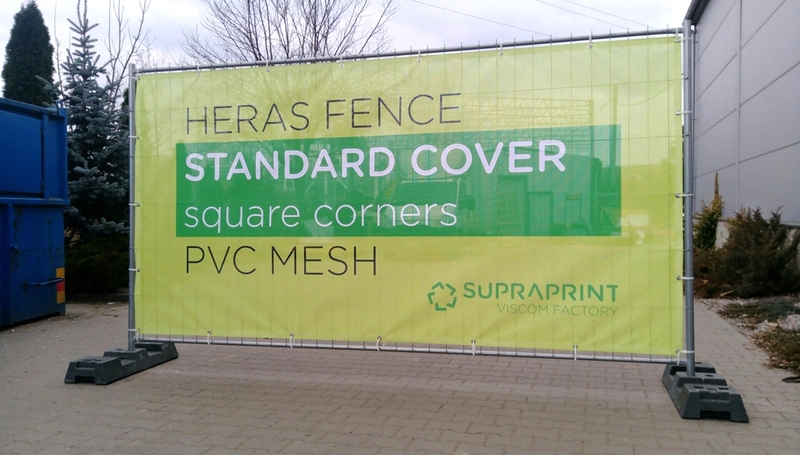 We offer banners in the most popular sizes adapted to the construction of openwork fences. If you need a different size, then we can also do it. 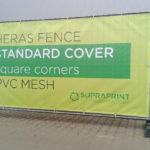 • STANDARD – pvc mesh 300g with solvent or UV print. 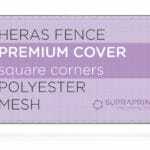 • PREMIUM – airtex polyester mesh 115g with sublimation printing. 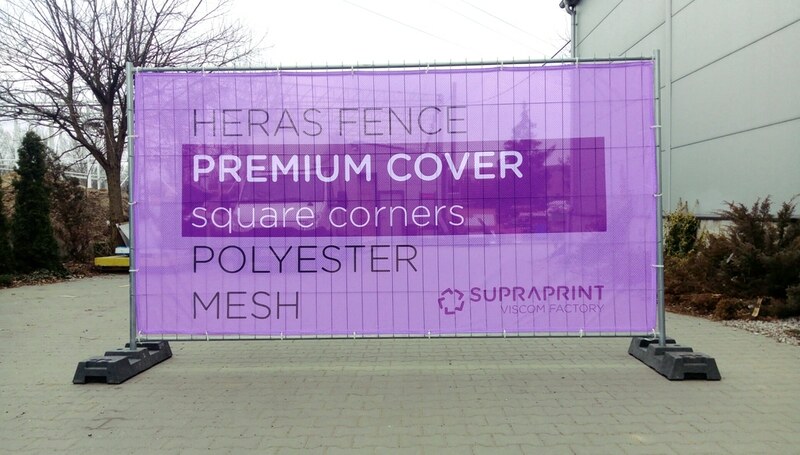 Both materials and printing technologies offer the high resistance to atmospheric conditions and UV radiation. Our nets also have a flame retardant certificate. 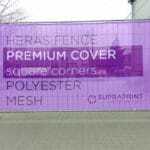 PREMIUM polyester mesh is distinguished by its exceptional print quality and low weight and volume for transport. 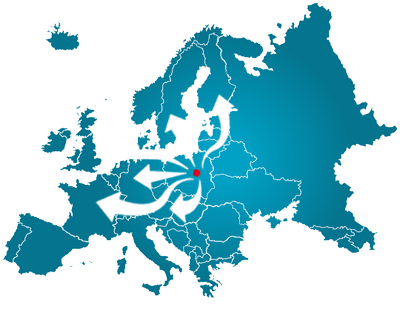 Standard lead time (production + delivery) is about 7 working days depends on destination and quantity. We start production just from 1 unit and offer artwork and design support.